Filing for bankruptcy can save you from eviction temporarily, but it won’t stop the proceedings forever. However, it will give you more time to work things out with your landlord so that you can stay in your rental home, condo, or apartment. The eviction proceedings will also erase other qualifying debt, which will free up your income to pay past due rent. Here’s what you need to know. The good news is, filing for bankruptcy can stay or stop eviction procedures temporarily, but you will still need to pay your landlord what you owe him if you want to continue living in the rental unit. Filing may give you enough time to save up your back rent so that you can work things out with your landlord and stay in your rental. Filing as quickly as possible is essential, and it will only work if your state allows you to catch up on back rent. However, if your landlord has accused you of drug use, property damage, or some other unlawful condition within the last 30 days, filing for bankruptcy will not help you. You should also be aware that the landlord can request permission to evict you anyway, and the court may grant the request unless you have a valid reason why you should be able to stay. In some states, filing for bankruptcy can clear an eviction even after the case has been settled in the landlord’s favor. You will need to file your case, and also submit a certification with the bankruptcy court that will allow you to cure your default even though the case has been settled. You will then need to serve the landlord with a copy of the certification. You will need to pay all of your back rent within 30 days and file another certificate with the court telling them you have entirely caught up your rent. 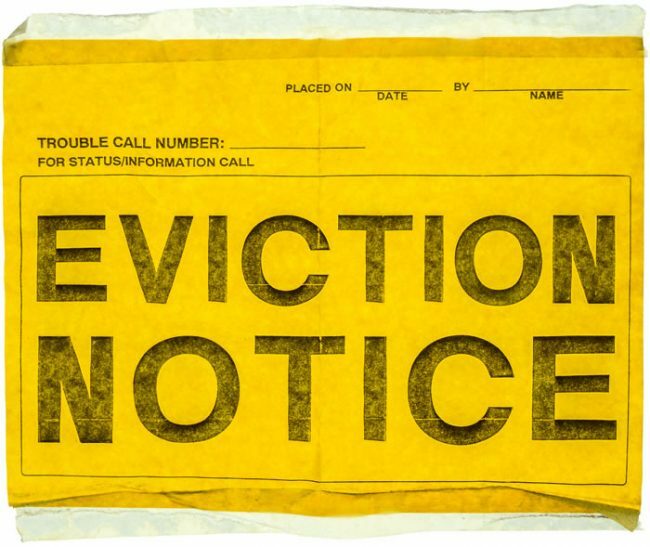 Once you’ve fulfilled all of the requirements, your landlord will not be able to proceed with the eviction. There are two types of personal bankruptcy: Chapter 7 and Chapter 13. In the case of a Chapter 7 bankruptcy, your assets are liquidated to pay off your debts. In general, you can only qualify for Chapter 7 if you have meager income and few assets. People who have regular income will need to file Chapter 13. In the case of Chapter 13 bankruptcy, a payment plan is created, and you are given three to five years to pay off your debts. For those filing Chapter 7, the filing will stop the eviction temporarily. This will buy you more time to work things out with your landlord or come up with the past due rent. When you file a Chapter 13 bankruptcy, you will be given the option to assume responsibility for your lease and stay in your rental or reject the lease and find another place to live. If you decide to keep your lease, your past due rent will be included as part of your payment plan. You will still have to stay current on rent that comes due after your case is settled. Back rent is dischargeable in most cases. Unfortunately, discharging back rent takes away the debt, but it does not allow you to stay in your rental once the case concludes. In the state of Hawaii, your landlord must give you written notice before he can even file an eviction lawsuit against you. This allows you some time to decide if you want to try to work things out with your landlord, pay off your back rent, or simply move out. If your debts are overwhelming and you plan to file for bankruptcy, you should do it as soon as your landlord gives you notice.